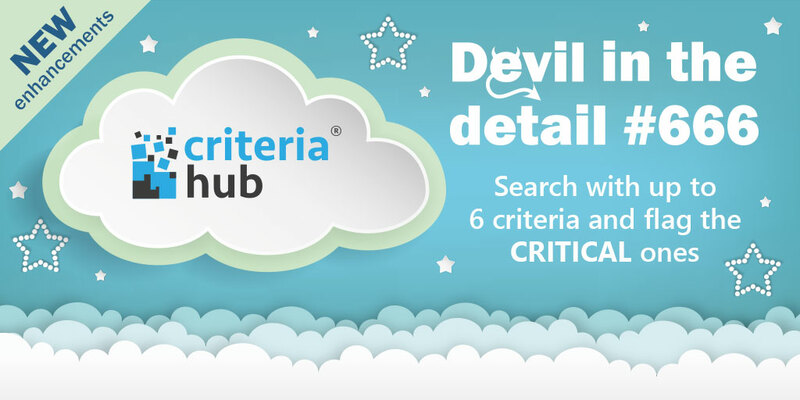 We’ve recently enhanced Criteria Hub so that you can select up to six criteria. Not only that, but you can now individually flag the criteria that are critical or deal breakers! Criteria Hub’s ground-breaking technology has really taken off since over the past month, with a search being carried out every 10 seasons. To get a slice of Sourcing Heaven and to take a look at the latest enhancements in more detail, click here.